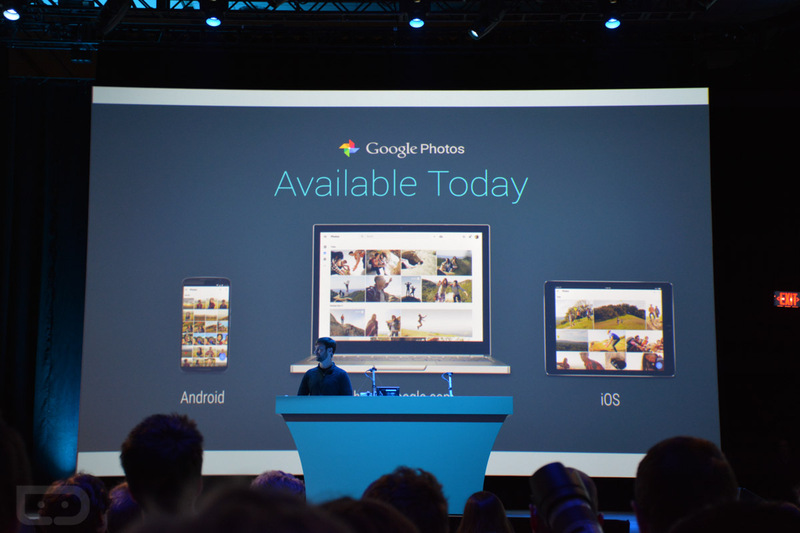 Google went ahead and made its new Photos app/service official today during the I/O keynote. 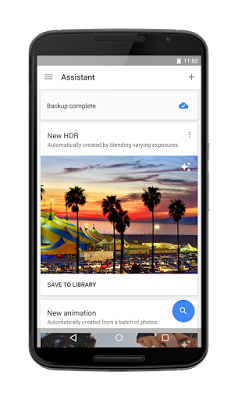 With Photos, you get the Google+ Photos experience, but as a stand-alone service for all to use, with free, unlimited storage. That’s right, you no longer have to use Google+ to get all of the awesome sauce that is Google Photos. With the new Photos apps, you get, as I just mentioned, free unlimited storage for your photos and videos up to 16MP resolution and 1080p. The new app auto-groups things like picture of dogs or faces or birthday parties or other life events. You can quickly multi-select photos with the drag of a finger, then share them to anyone (even if they don’t use Photos) through a simple instantly created link. Remember Auto Awesome? It’s now called Assistant, and it can be used to auto-enhance photos, but Google will also offer up suggestions of stories and collages. 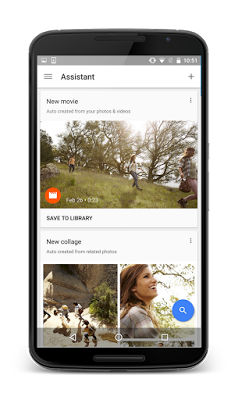 The new Google Photos service is available starting today on Android, iOS, and the web. You can find it right here (soon). Update: It is now live on Google Play. Download.